Buying a home is an exciting adventure. It marks a new chapter in your life; whether it’s a first time home purchase, an upgrade to a bigger home or a relocation. Purchasing a new home is a rollercoaster ride, hard to organize and rarely executed the way we imagined. There are generally obstacles that will test our patience and it is always a wonderful feeling when everything finally falls into place and the keys are in your hand. The first thoughts that enter your mind are the aesthetics. Painting, minor renovations, cleaning and of course moving in is top priority. But have you ever stopped to think how many of those keys you just obtained are floating around? How many people have a copy? What kind of people are they? Often people like to assume everyone is honest, but unfortunately that’s not always the case. Then consider what exactly is the history of the home? Are there disgruntled service people who happen to have a key and don’t know there are new tenants? If you pause to ponder the possibilities, the scenarios are endless, and can be a little scary to think about. Insurance companies always investigate victimized homes. If a burglar or intruder break in, it better be forcible entry and not homeowner error or neglect. The prospects of may have a copy of that house key could be mind boggling. Caregivers, family members, service providers and neighbors to start with. How many copies did they make for emergency situations? So where do you start? Best Locksmiths outlines your best three options to deal with this dilemma. The first option is if you happen to be a handyman, or have a trusted friend who is, come in and rip out the old locks on every door and replace them, or take them to a local locksmith to have them rekeyed. A lot of time and energy is spent in this endeavor. The second option is to contact the previous homeowner, ask for a history of the locks, and who may still have a key. Sometimes just getting in touch with the old owner is an impossible task on its own, then expecting the owner to be honest or have precise memory could be a comical event. Last option, and probably the smartest investment is to hire a professional. An expert from Best Locksmith of Wisconsin offers re-keying your locks among our many services and can offer you peace of mind. Having a professional ensure your locks are your own can reduce the risk of having your home victimized by unsavory characters. Contact Best Locksmith for expert locksmith services today! There are many kinds of safes to choose from for your home or business. Depending on your needs, picking the best safe could be confusing. There are a few styles of portable safes that can be easily used for home or businesses, and can conveniently transported when needed. – Portable Drawer Safe: The portable drawer safe can protect cash and a small number of important documents. This safe is typically kept in a fire proof file cabinet or a larger safe. A drawer is easily stowed away in a car trunk for easy transportation and relocating. – Portable File Safe: Half the size of a cabinet drawer, the portable file safe is designed with grooves that make storing sensitive files in a secure place easy. A portable file safe can have a fireproof capability which makes it better at keeping important files safe and secure. Portable file safes are either under lock and key or may be equipped with a combination lock. – Portable Fire Chest: Portable fire chests are just a bit bigger than the portable drawer safes. Great for protecting it’s treasures from fires and unsavory characters. It can protect cash, selected important documents and other small valuables. – Portable Gun Safes: In today’s world of rising criminal activities, owning a gun to protect your home or business is prudent. Those on the road, especially through rougher neighbors, consider retaining protection but don’t necessarily want to carry a weapon on their persons. Transporting a portable gun safe is simple, as well as concealing it in discreet nooks in homes or businesses. Many portable gun safes have biometric sensors to include thumb printing to open the safe to deter the wrong folks from gaining entry. These safes are located in a fixed location. They come in different sizes and styles. – Under-Desk Safe: Under-desk safes are easily attached underneath a desk, counter, closet or storage area. They are not portable, but weighing under 100 pounds, they can be moved around for added security, or in case they need to be relocated. Under-desk safes can be assembled with a key pad combination lock. – File Cabinet Safe: File cabinet safes can include fire proof capability, and come in 2 or 4 drawer varieties. Weighing in at 750 pounds, the file cabinet safe is not easily moved and generally is locked with a key. Great for protecting files, cash, and merchandise. – Wall Safe: Wall safes are obviously mounted in a wall, well secured within the buildings structure. Often hidden by wall art, panels or in closet spaces behind false walls. Sizes vary and can hold important documents, cash, heirlooms, and jewelry or other small valuables. – Floor Safe: Floor safes are generally dropped into the floor, secured in cement. A few floor safe models have a slot designed in the top for easy deposits. Best used for protecting cash that flows often. There are many other designs and styles for specific safes that can be used for fire protection and still keep valuables safe from the criminal sort. Best Locksmith can assist in deciding on the best safe for your needs along with efficient installation and safe combination changes should you need it. Contact us today for more information! If you have ever locked yourself out of the house or lost the keys to your car then you have had to use a locksmith service. A good qualified locksmith can get you a new key made, or rekey your home and locks when you need it. There are moments that you are going to need to have a locksmith come to you and in an emergency situation. These are the times that you are more likely to get scammed and overcharged for the services that a locksmith can offer. Baited; Too Good to be True Locksmith Services: The way that many locksmith services get people is when they offer a set price for services that most people will need. This is usually when you are in a bind and need help right away. They might offer a service that seems too good to be true. When they show up to the job that you called them to do they will change the price. This is called the bait and switch technique. They will come when you are in need of the service and don’t have a lot of time to waste. They are taking advantage of your bad situation so that they can get you to pay the price that was offered but they will add fees that will send the total sky rocketing. You may feel stressed out about the situation and be willing to pay the inflated price to get back to your schedule that is surely waiting. Research Local Locksmiths: The very best way to be sure that you are not stuck in a situation that is out of your control is to do some research. You want to call around your local area to locksmiths that offer all the services that you may need. They should be able to install new locks, replace transponder keys, duplicate keys and most importantly they need to offer mobile emergency services. This is when you will need them most. You can call them and talk to a technician that can go over the details of their prices and their fess that may come as part of their mobile service. Make sure that you know their hours and establish some kind of relationship so that when you need them in an emergency you know who to call and what the cost will be. Best Locksmith wants to be your Local Go-to Locksmith Services Provider in Racine, Kenosha, Oak Creek & Burlington Wisconsin. Contact us today! History of Locksmithing. Famous Locksmiths: Robert Barron Double Tumbler Lock, Jeremiah Chubb Detector Lock & Houdini Lock Picker! Calling a locksmith is usually the result of locking your keys in the car, losing your keys or having your home rekeyed after you have just purchased it. Professional locksmiths provide a great service and level of security that we sometimes take for granted. Not only until we encounter an emergency do we call the trusty locksmith. Locksmiths have been around for years, and when we say years, we mean over four thousand. Locksmiths first show up in history during ancient Egyptian times. During that time, locksmiths created wooden devices that used tin tumblers to prevent free movement of the door bar. This is the earliest existence found of lock and key mechanisms. In 1778 a man by the name of Robert Barron invented the double tumbler lock. 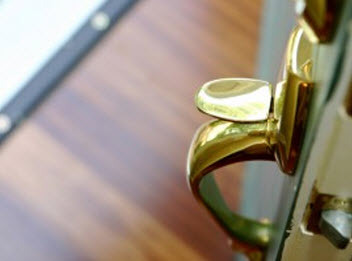 Mr. Barron significantly improved the design of the basic lock and provided a level of security for people and their belongings that were yet to be invented. Back then, there was no modern day security and no electronic technology to guide him. Mr. Barron utilized his impressive skill set to handcraft the ever so important double tumbler lock. Robert Barron was well known for his skills in Britain and proved so by this early invention that would be used as the foundation for many other locks built later on. Another famous locksmith that you have probably never heard of is Jeremiah Chubb. In the year 1818, Jeremiah Chubb patented the detector lock. This durable lock had six levers and won Jeremiah several monetary awards as well as local fame among his peers and community. Jeremiah Chubb is one of the more popular locksmiths through the history of the trade. Probably one of the most popular locksmiths that you have heard of but do not consider him to be a locksmith is the great Houdini. Houdini thrived on being able to unlock and escape any type of lock that existed! Today we are lucky to have a great deal of master locksmiths to choose from when we require their services. There are many locksmiths today that are capable of doing a lot more than the lock of the past allowed. Locksmiths today are far more experienced, skilled and trained because they know more and have been exposed to all different types of locks. 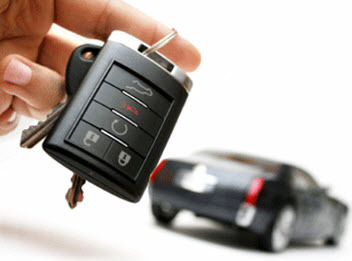 Knowing a reliable and knowledgeable locksmith will come in handy at one time or another. Whether you have locked your keys in the vehicle or lost a house key, a trusty locksmith will take care of your problem. 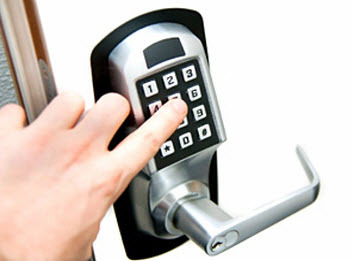 Contact Best Locksmith today for superior locksmith service.